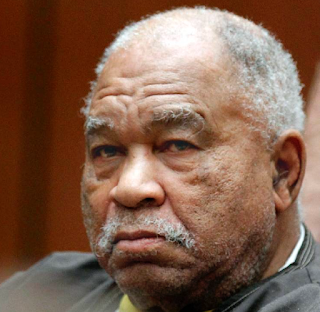 Convicted serial killer Samuel Little in recent months has confessed to law enforcement that he’s strangled as many as 90 women in at least 19 states – a criminal career that would represent the largest homicidal series in U.S. history. Little's confessions represent less than 3 percent of the 3,150 unsolved female strangulations reported by local police to the FBI over the past 42 years. Yet the location of his claims match many of the highest geographic concentrations of unsolved strangulations. California leads the nation with a reported 587 unsolved female strangulations and also has the largest number of cases claimed by Little. He was convicted in 2014 for the murders of three California women and later confessed to 16 other California victims whom police have yet to match to specific homicide cases. According to the Murder Accountability Project’s serial-crimes detection algorithm, the nation’s largest local cluster of suspicious strangulations occurred in Atlanta with 133 female suffocations, of which 100 were unsolved at the time the Atlanta Police Department reported case information to the FBI. Georgia authorities are investigating Little’s claims of killing seven women, including three victims in Atlanta. The Bureau of Justice Assistance in collaboration with the FBI reports authorities – through "confirmed forensic linkage" of DNA and other physical evidence – have corroborated 34 of the murders to which Little has confessed and identified an additional 24 cases for corroboration. Even if only those 58 cases are confirmed, Little would surpass the 48 victims for which "Green River Killer" Gary Ridgway was convicted in Seattle. To see a state-by-state accounting of all reported female strangulations from 1976 through 2017, and whether the cases were cleared by arrest at the time of reporting, click here. These records were reported by police to the FBI or independently to MAP. If you have information about cases that may have involved Samuel Little, contact the FBI's Violent Criminal Apprehension Program (ViCAP) at 800-634-4097.